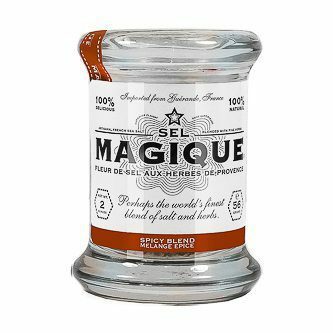 Fleur De Sel French Sea Salt & Pepper Blend in large 6oz pressed glass jar by Sel Magique. 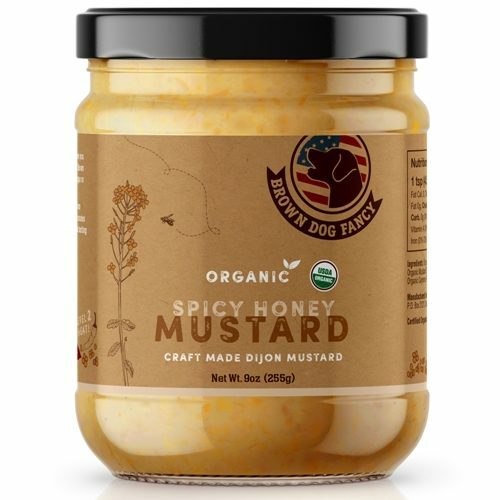 Salt & Pepper Blend is batch-blended by hand in France with 2 all-natural ingredients. 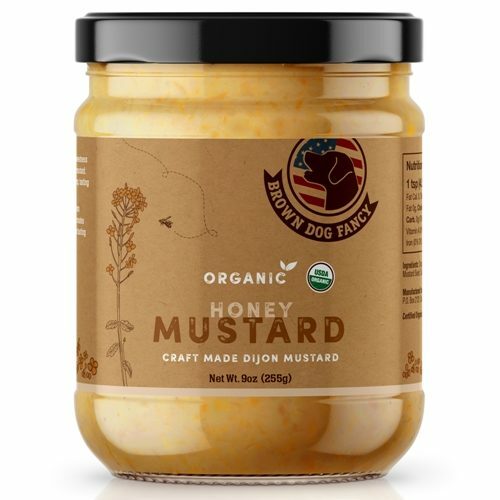 Add to anything including vegetables, meats, and salads. Experiment to find your favorite. 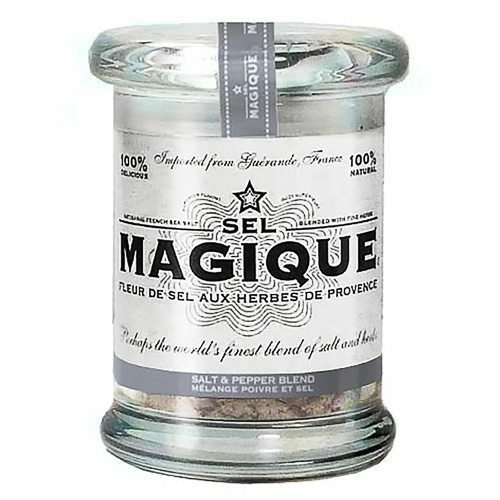 Salt & Pepper Blend is batch-blended by hand from 2 all-natural ingredients: Fleur de Sel de Guérande and Black Peppercorn.